Carotenoids provide a wide range of health benefits and are found in many fruits and vegetables like kale, mangos, red peppers, and cantaloupe. Your body takes the alpha-, beta-, and gamma-carotenes and converts them all in vitamin A, which is an important part of the quest for optimal overall health. 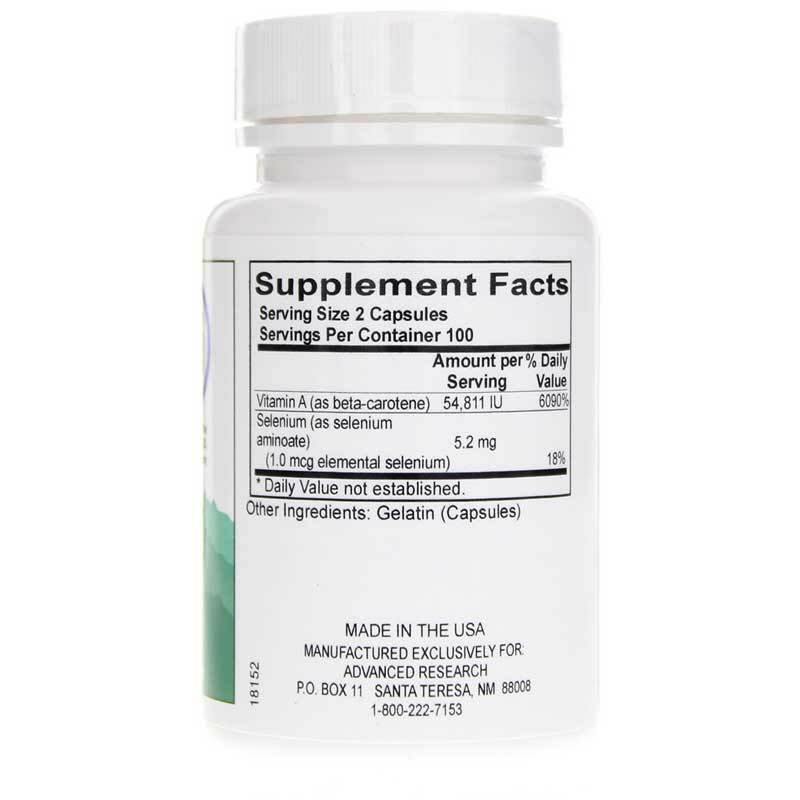 Carotavit from Advanced Research provides 54,811IU of vitamin A, along with 5.2mg of selenium for optimal health benefits. Carotavit from Advanced Research is formulated without any of the common food allergens, is made in the United States, and is the brainchild of Dr. Hans Nieper. Make the choice to support your overall health. 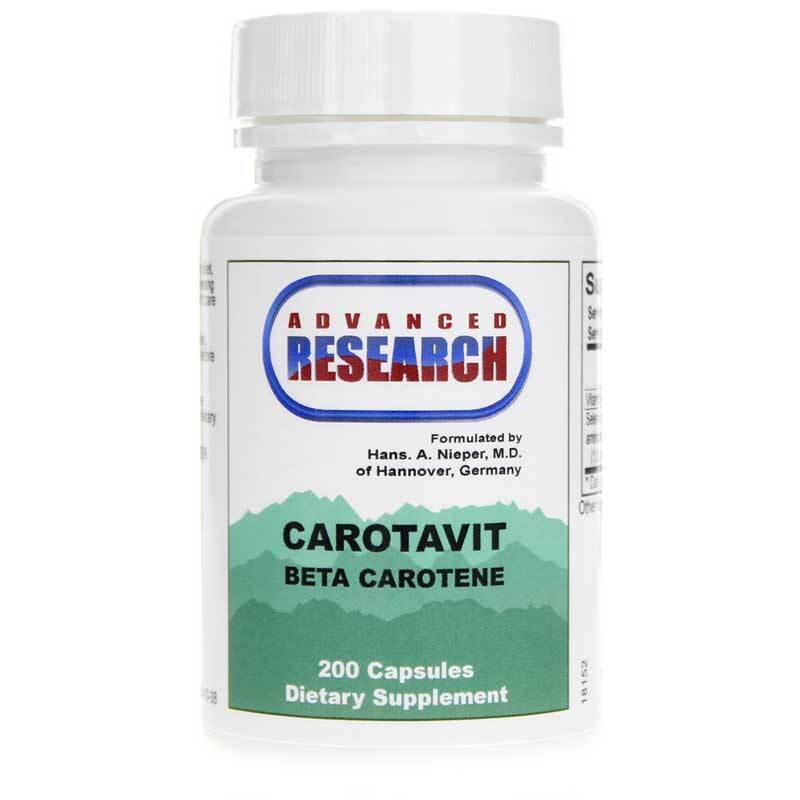 Try Carotavit from Advanced Research for a whole host of benefits that can help you on your quest to optimal health and wellness. Other Ingredients: avicel, prosolve, pure food glaze and magnesium stearate. 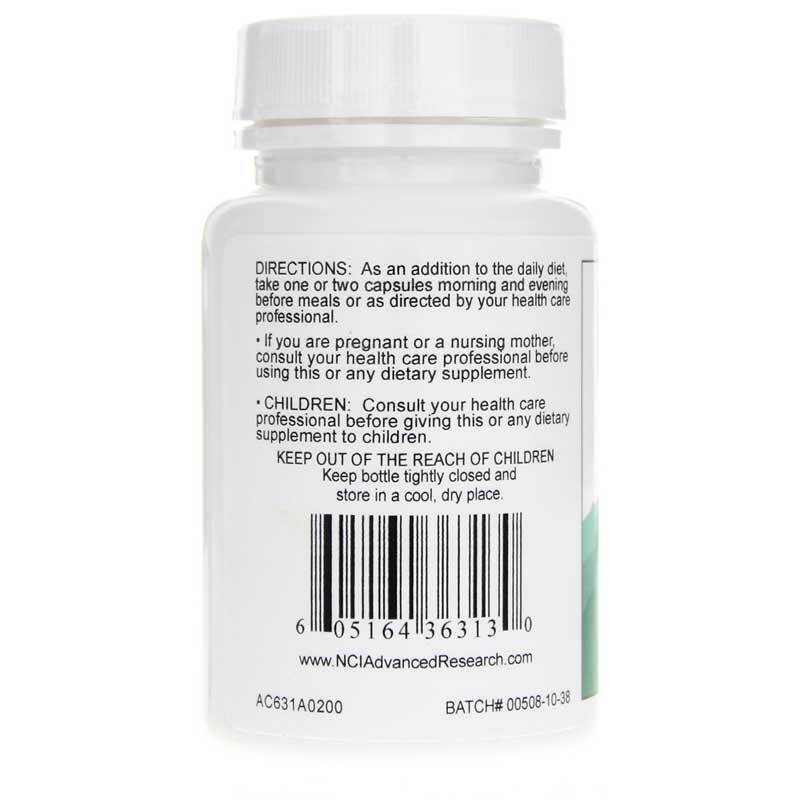 Adults: As a dietary supplement, take 1 or 2 capsules morning and evening before meals or as recommended by a healthcare professional.